There is still time to get off the couch. 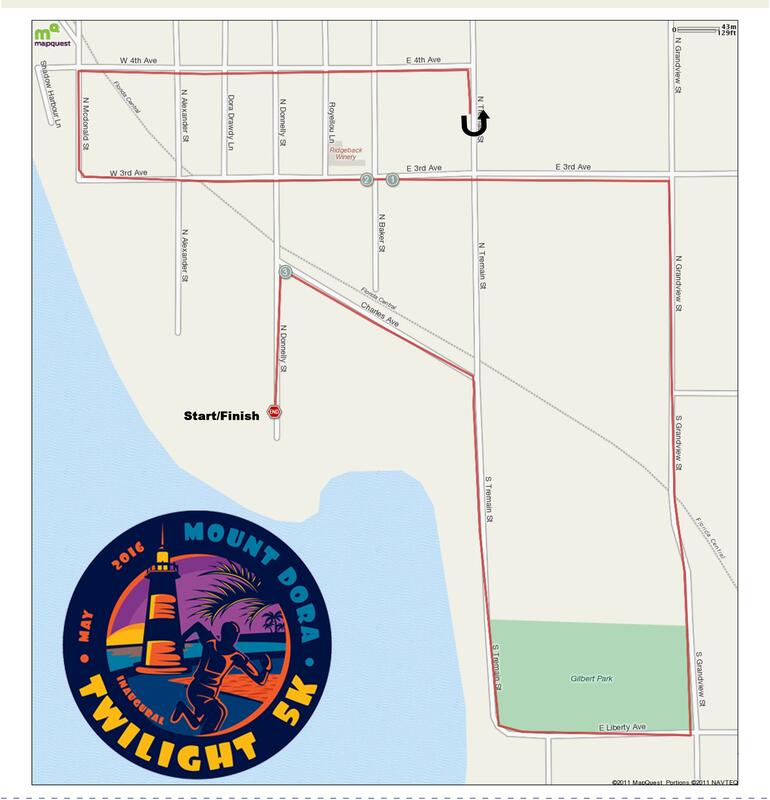 Over 400 eager runners and walkers have registered for Mount Dora's inaugural Twighlight 5k Run on May 5th. Unlike traditional early morning competitions, this evening race is the first of its type in the area and will take runners and walkers through the streets of the city's historic downtown. "I look at trends and statistics of races around the state and especially Central Florida. The race calendar is saturated with Saturday morning 5k races," said race organizer, Vickie Blate. "I wanted to do a 5k downtown in the evening because it is different and I am hoping to appeal to a different group of runners that do not like early races." Blate, a personal fitness trainer, also organizes the annual Mount Dora Half Marathon and 5k in December. The foot race features a certified out-and-back course that kicks off at watefront Evans Park at 7 p.m. Participants will pass the lighthouse as they run along the lake before heading up Liberty Avenue to long stretches on Grandview Street and 3rd Avenue. The event will take place 'rain or shine' and participants are encouraged to dress appropriately. Click here for registration info.